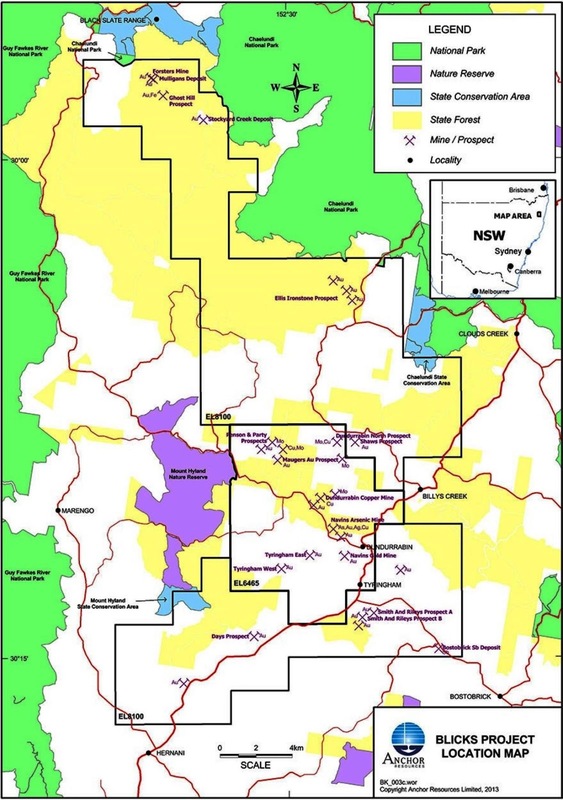 Chinese-owned mining exploration company Anchor Resources Limited has extended its mineral tenements within the Dorrigo Plateau-Clarence River catchment area. 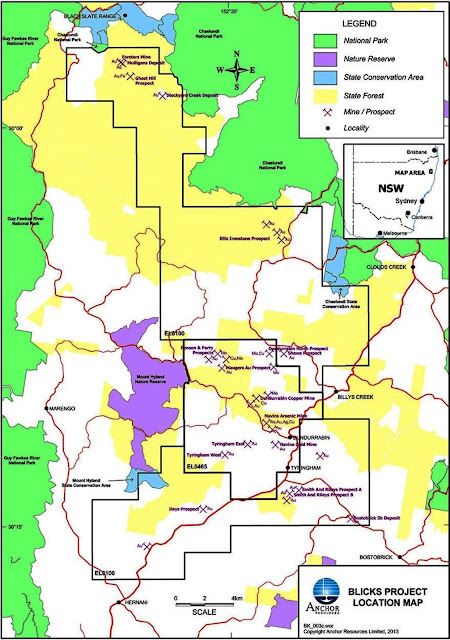 In June 2013 the NSW O’Farrell Coalition Government granted a further three-year exploration lease EL 8100 which connects those gold and antimony tenements the company has already extensively explored. This increased footprint comes with an increased risk of antimony, arsenic, and/or mercury contamination in a sensitive section of the catchment should the proposed commercial mines come to fruition. Both mercury and its compounds have high acute(short-term) and have high chronic (long-term) toxicity on aquatic life. Eating fish contaminated with mercury has caused poisoning in humans; birds and land animals exposed in the same manner could also be subject to the same effects.There is not sufficient data to determine the acute toxicity of mercury and its compounds on plants, birds or land animals. Mercury and its compounds are highly persistent in water and the environment and will bioaccumulate or concentrate in the tissues of fish. These concentrations will be considerably higher than the water from which the fish is taken. I am a Clarence Valley resident. This blog was created to protest numerous proposals to divert water from the Clarence River and/or its tributaries. None of these proposals take into consideration the significant negative environmental, economic, social and cultural impacts water diversion would have on communities in the Clarence catchment area. All are attempts by vested interests to sidestep responsibility and not squarely face the evident trend for a gradual drying of the southern half of the Australian continent. Please feel free to offer comments on my posts. Comment is moderated for offensive language. Individuals mentioned in these posts may exercise any perceived right of reply by utilising the Comments link. .. . . . . . . . . . . . . . . . . . . . . . . . . On creating a blog for the first time: "On the Internet nobody can see the crayons in my nose!" [Ginger Meggs syndicated comic strip,2007]. DISCLAIMER: I am not now, nor have I ever been, a member of any political party.